Outlets: 2-110v. dedicated outlets within 50ft. 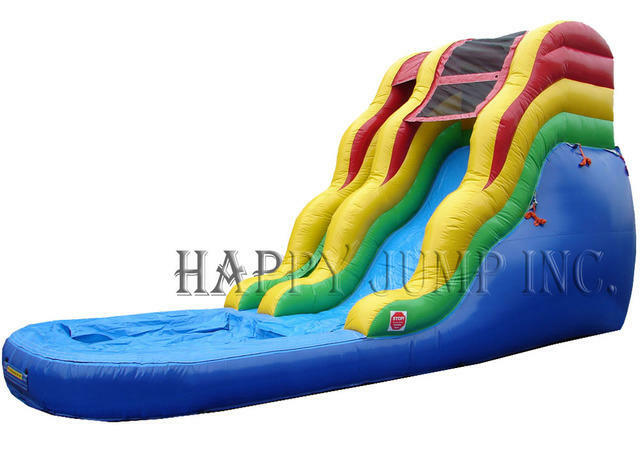 16ft Rainbow Splash Slide...this is our most popular water slide sure to cool you down on those HOT summer days! Climb up the front and the slide down into a pool at the bottom a refreshing way to spend the hot summer days.